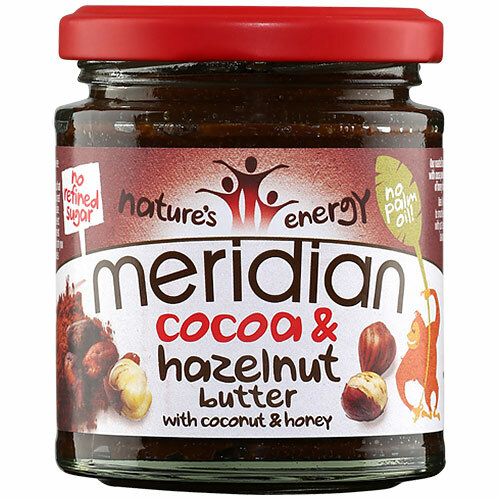 Meridian`s roasted Hazelnuts are blended together with Cocoa powder, pure Coconut and a dash of Honey for a delicious indulgent taste. Roasted Hazelnuts, Honey, Cocoa Powder, Coconut, Sunflower Oil. Delicious spread on toast or to add to smoothies, cakes and bakes or simply just with a spoon, as part of a varied and balanced diet and healthy lifestyle. Store cool & dry. Once opened, consume within 1 month. 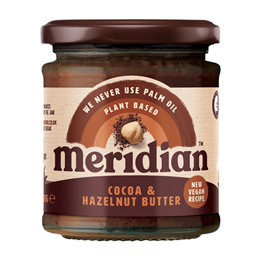 Below are reviews of Meridian Cocoa & Hazelnut Butter - 170g by bodykind customers. If you have tried this product we'd love to hear what you think so please leave a review.